Important! While the other two assessments are sold individually, the Leadership Style Assessment is only available in this book. 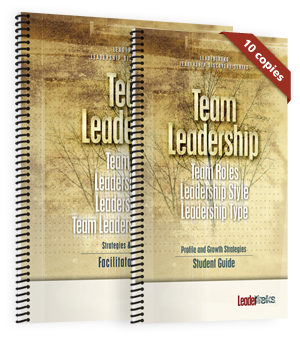 This Value Pack also comes with a DVD which explains the LeaderTreks Leadership House model. Leadership Type – What am I most passionate about on a team? Leadership Style – How do I tend to lead a team? Team Roles – Where do I fit on a team?